Moving is a stressful experience and needs to be planned in advance. You need to know when you are moving to Clapham, SW4 to get the date you want. Moving Service is the best and can deal with your entire moving requests. No job is too big or too small for us. We have a team of experts who will deal with all of the tasks involved with your move to Clapham. You can choose between a selection of our reliable and reputable services. We have man and van services, van hire and overseas removals. You can choose to hire us for commercial needs and moving furniture. For more information, contact our friendly and helpful staff who will advice you on the best deal. Our rates are extremely attractive. You will be impressed with the competence of our company. We provide a first - class service and will get it done quickly but successfully. Or you can call us on 020 8746 4402 and discuss your needs with our polite and courteous staff. We can supply a free quote and also book a staff member to visit and provide an accurate quote. It is within the area of the London borough of Lambeth in South West London, and it has Clapham Common to the south, Kennington to the north and Brixton to the east. It has 3 tube stations, vast acres of common to explore, a busy nightlife, a vibrant atmosphere and historic old town. 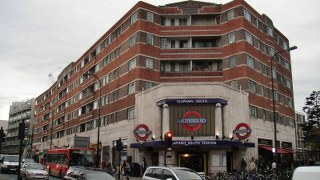 The postal districts are SW4 and SW11.The railway station famous as Clapham Junction was originally called Battersea Junction to reflect its exact geographical location. The area is a trendy location and has been a common place to live since the 80’s. There are many areas that have been revamped making it a nice place to live, eat out and dine out. There are trendy bars, restaurants and pubs relaxed but open to liveliness, too. There is a lot to do in the area with coffee shops, bistros, clubs, concerts and theatres. It has excellent shopping options and amenities. There are also good transport links, a new cycle highway, and sports on the common. A lot of money has been invested in the area and extensive development was implemented to form new facilities. The quieter village parts of Abbeyville and Clapham old town have excellent schools, farmers markets and fetes. Moving Service is experienced at all moving services and can help in a number of situations. Nothing is too much for our competent staff. 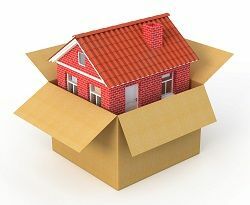 We can help organise the best move that will help you when you are relocating to Clapham, SW4. We are at your disposal to get the move sorted as efficiently and competently as possible. You can choose between a variety of services around SW11 area including man and van, removal van hire and a professional team who will do the lot. You can order packing supplies from us and we will take away the packaging when you have finished. You can hire us for office, furniture and international removals across Clapham, too. Call us and book a discussion with our representatives to give you a precise quote. Our help office will help arrange a date and meeting, so call us now on 020 8746 4402. If you have any questions, please don’t hesitate to ask. Also bear in mind you will need to get permission for your removal vehicle to park when hiring our moving services. Hats in the air for this moving company! Seriously, we would not have been able to handle a move such as this to SW4 at such short notice, had it not been for their talented and hardworking team!